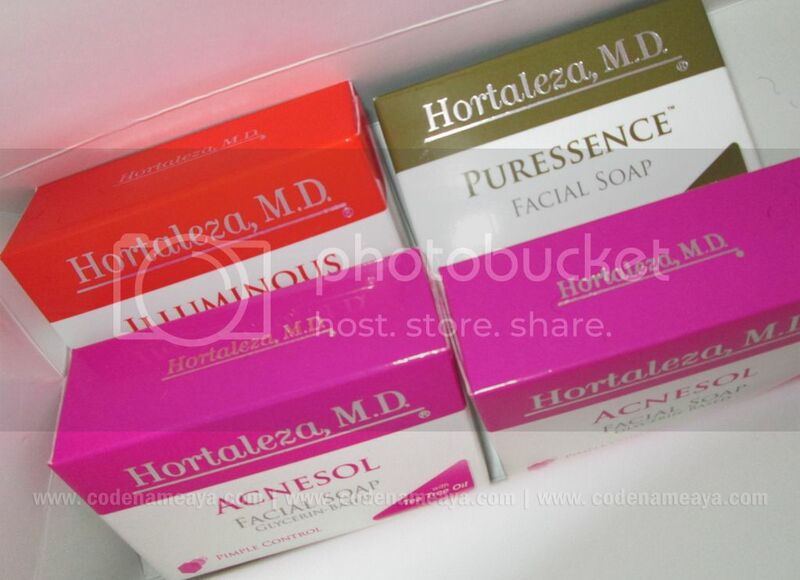 After so many months, I can now finally share with you my thoughts on these facial soaps from one of HBC's skin care lines, Hortaleza, M.D. 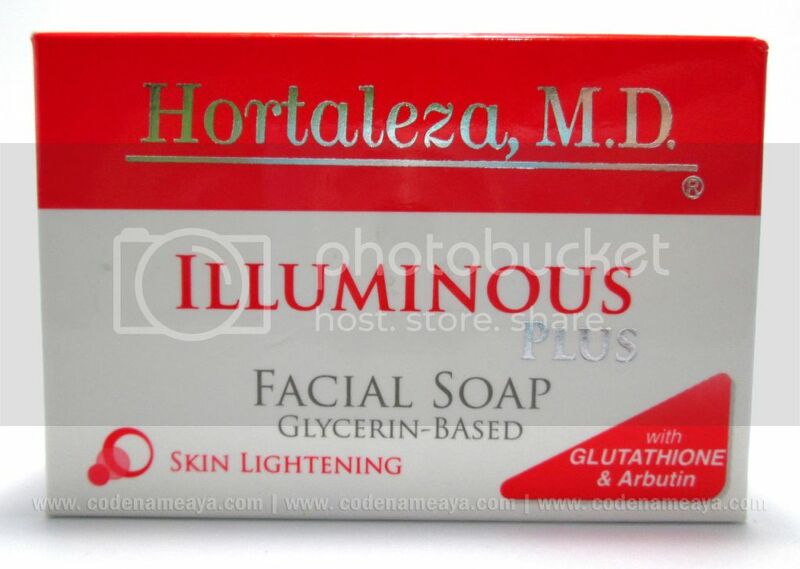 The Illuminous Plus soap claims to lighten skin including blemishes and dark spots on the face and to have a mild glycerin-based formula. 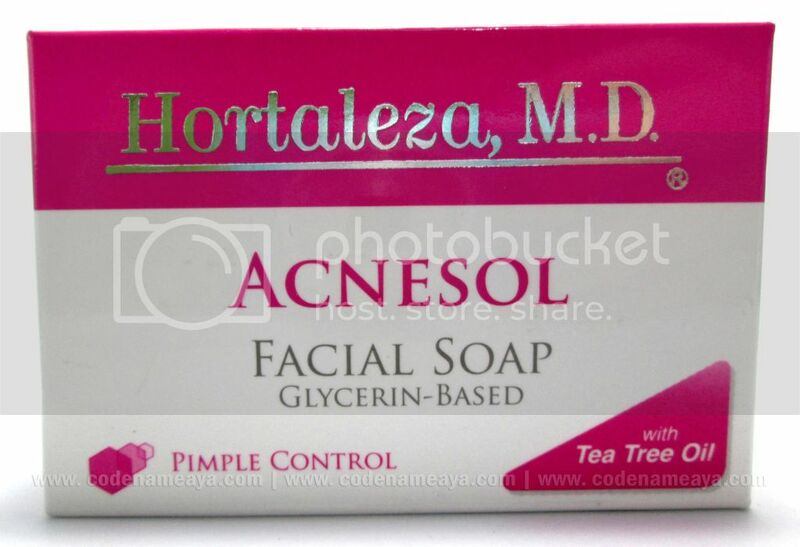 I used this because I had dark areas and pimple marks on my face. I basically just wanted to even out my skin color. After every use, my face felt clean and bright. 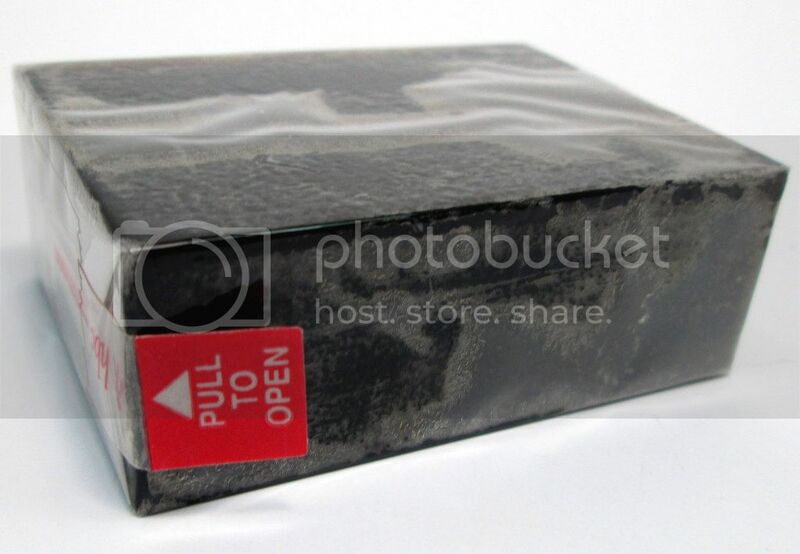 I wouldn't say it's a moisturizing soap but it didn't leave my face feeling tight and dry. I still didn't skip applying moisturizer afterwards, though. After about a month of using the soap, I noticed that my face over-all seemed brighter. Not significantly lighter, but brighter, still. My pimple marks didn't totally disappear but they did lighten. This soap also helped clear my left shoulder area where I had developed rashes (who knows how) that turned to small dark, scaly spots - something that my previous soap wasn't able to do. Now this soap, unlike the Illuminous Plus, has a translucent green color (sorry, no photo :/ ), and it has a strong (ish) tea tree scent that didn't really bother me but it's not what I would call 'fragrant.' I guess I'm just not a fan of the tea tree oil scent. 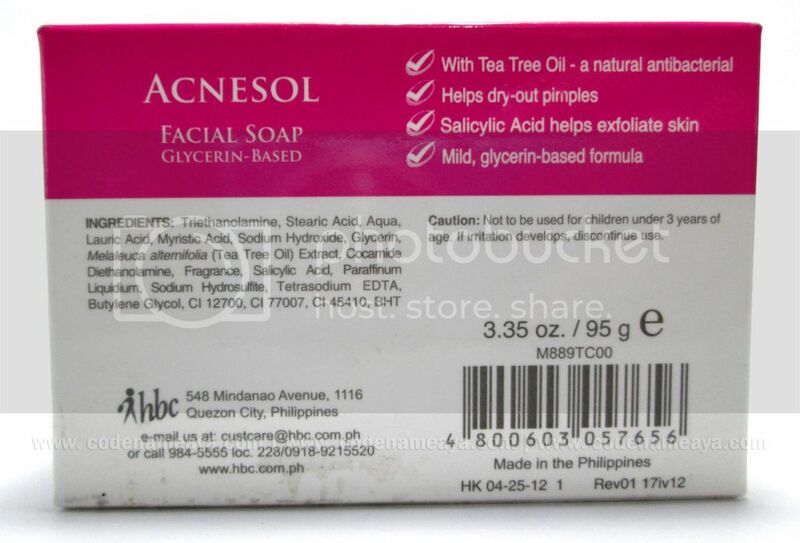 Anyway, the Acnesol soap claims to help dry out pimples and exfoliate the skin and to have a mild glycerin-based formula. Before I tell you about my experience with this soap, let me remind you of my skin profile. I have oily skin but it's not acne-prone (and I'm really thankful for that). But I still get pimples, especially during that time of the month. I found that this soap didn't prevent pimples from popping out of my face but it did help dry out the pimples that showed up although not too quickly. This soap also didn't leave my face feeling tight, which is good, but I still made sure to use moisturizer afterwards. Now this soap looks like a giant nata de coco because of its translucent white appearance (and again, sorry, I don't have a photo of the soap itself :/ ). And as far as I'm concerned, it doesn't have a strong scent. 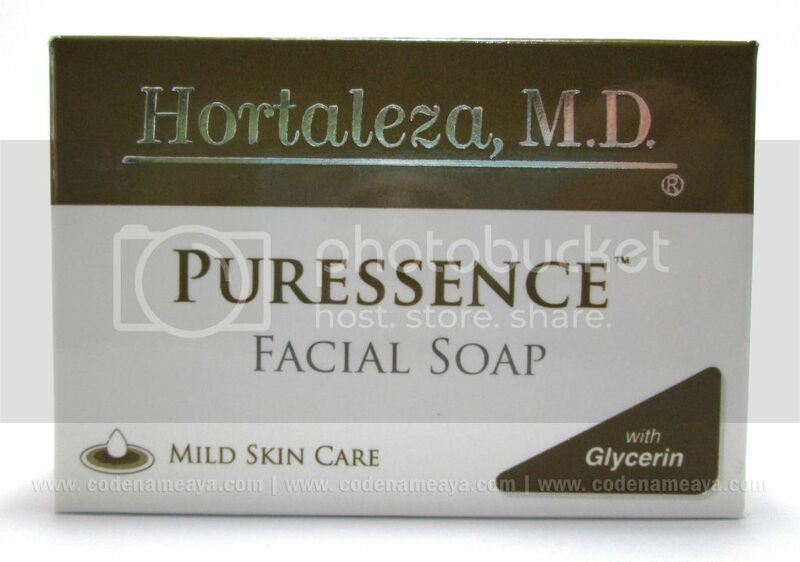 The Puressence soap claims to cleanse without drying the skin. And it did just that. My face felt clean and smooth after every use. Despite the clean feeling it gave, it didn't leave my face feeling tight and dry. Another great review Aya. The Illumnious PLus is interesting. 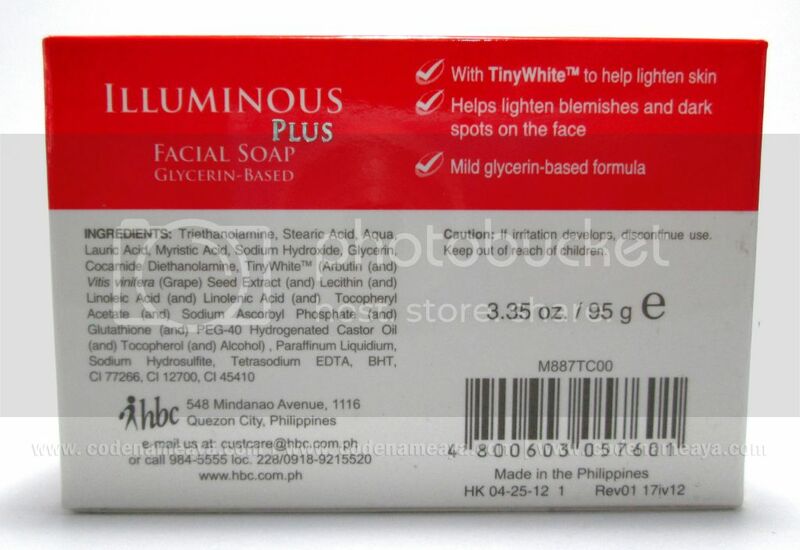 Madali lang atang matunaw yung mga glycerin based soap? 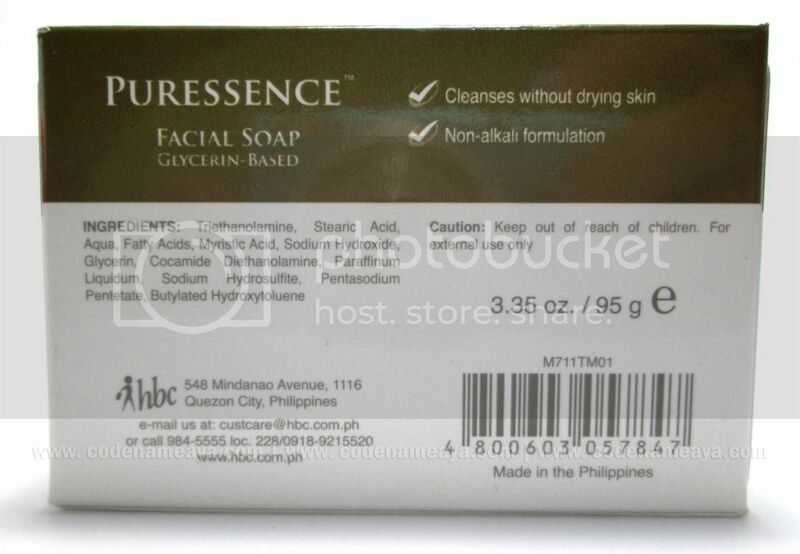 I've tried this kind of glycerin based soap at ang ginagawa ko is hinahati ko by 4 kasi mabilis matunaw. How about this Illuminous Aya? Thanks for the honest review. I'm always on the lookout for products to finally give me that peaches and cream complexion I've always wanted. Thanks for the review! For those who are on the business of retailing beauty products, this site might help for more exposure, Bukidnon Business Directory. I want to try Illuminous plus. 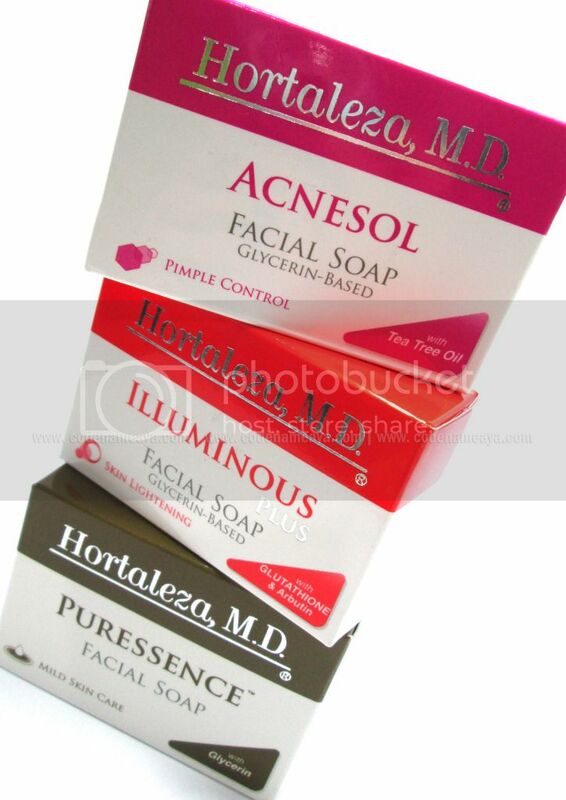 I wonder if Acnesol can also be used as a prevention for blackheads.